The Boardroom Network and Elite Business Women Clubs are about co-creating an ever-improving story for us all – a story with a happier ending for you and me for simply being active contributors to the ways our community develops. Our four presenters demonstrated this with diverse themes that complemented one another – blending collectively into a result that was all the better for everyone attending our Solent Breakfast meeting, this August. 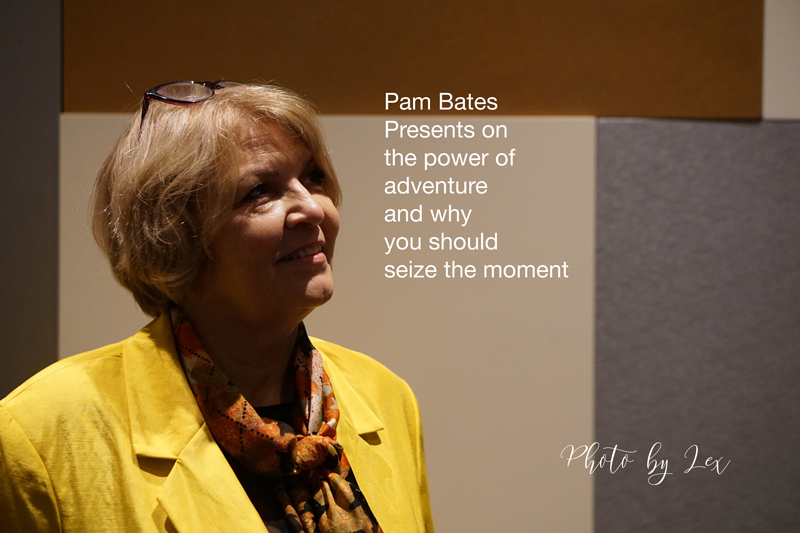 Our first course was ‘Adventure’ with Pam Bates, followed by ‘Purpose and Profit’ with Lynda Daniels. 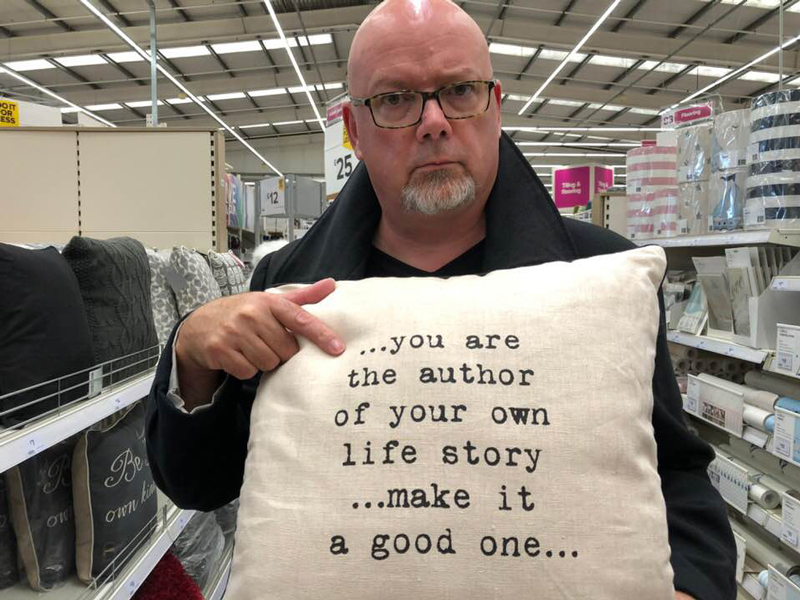 ‘Humour and Shameless Audacity’ were delivered hilariously by Michael Collins, followed by ‘The Power of Stories to Create Memories’ by myself. These were not the titles given by our four presenters but they were the themes. What the event highlighted to me was the power of the story we are making together – and, together, it is a better story than any we could create on our own. Jacqui and I have been chatting about the culture that defines a vibrant networking community. For us, the warmth of welcome TBN is well known for and its openness and transparency to those outside the network removes the ‘cult’ like feel you can get from some groups. TBN is inclusive and broad-minded – something that was clear from the stories! Picking up the story theme, that really struck me yesterday (17th August) at this particular meeting. Part of our culture is the stories we tell about business and about the wider aspects of life. Yet, for the first time, I realised that is it the stories we are writing with one another that defines a new level of benefit from being engaged with TBN. Pam started us off with sharing her adventure of a lifetime. This was a bitter-sweet realisation of the urgency of seizing the moment – both heart-breaking but ultimately heart-warming. Pam and her husband, together with members of the family followed their dreams, renovating a gorgeous large property in Italy. That which had been abandoned and neglected for decades became transformed as the epitome of a luxury boutique hotel, relished by all who came to stay with them. Follow your dream – because you do not know what is around the corner. Pam’s unreserved declaration was that she’d do it all again in a heartbeat. In fact, Pam’s story reminded me of this powerful quote from Helen Keller – that amazing woman who faced so many challenges, and built a better story through her collaboration with Anne Sullivan. 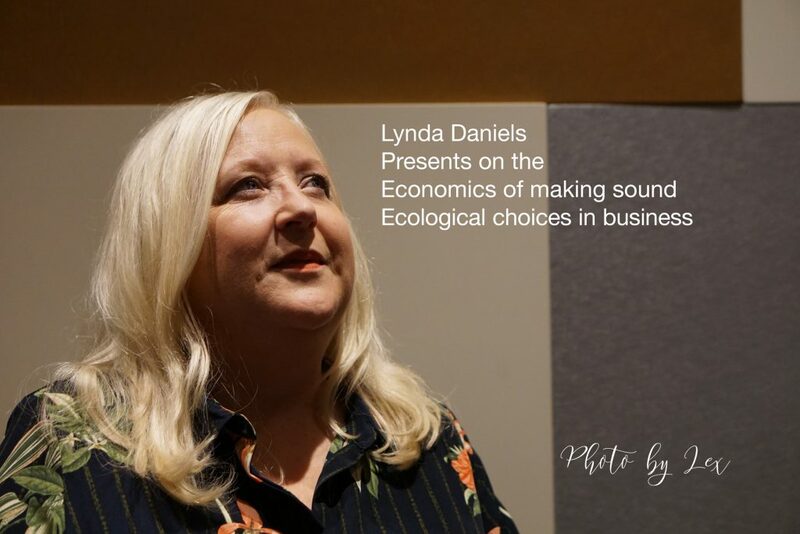 Lynda’s stories were around how becoming an ecologically literate business really makes economic sense both now and in the future. Gone are the days where the Green agenda was purely a matter of conscience (and there was nothing wrong with those days!) Now, the Green agenda is good for business in a measurable way. It’s good for business because it saves companies money and time – specifically with utilities and facilities management. It’s good for business because it influences the quality of client we attract and engage with. And it’s good for business because an increasing number of employees seek meaningful work – they want to join organisations that have a clear purpose and a powerful agenda for good. They seek to join ‘significant’ businesses who are making a difference. There are, then, no compelling reasons anymore for doing anything other than embracing the Green agenda. To make this easy and focused, Lynda invited us, free of charge, to The Big Green Event – taking place on 2nd of October, at the Hilton, Ageas Bowl. Not only will we be able to see for ourselves the positive financial impact of going green, we’ll also have access to easy free parking and a free coffee – courtesy of TBN association with Lynda and this event! Whilst that title was not the wording used by Michael, when you hear his story you’ll understand why I’ve used them to describe the almost innocent boldness of his adventures in the Navy, at the tender age of 16. This is a story that needs to be seen to be believed, so I’ll not add any spoilers here – and will simply point you to the YouTube record of quite possibly the funniest story I’ve ever heard. Michael’s points, like all great storytellers, were powerfully made. 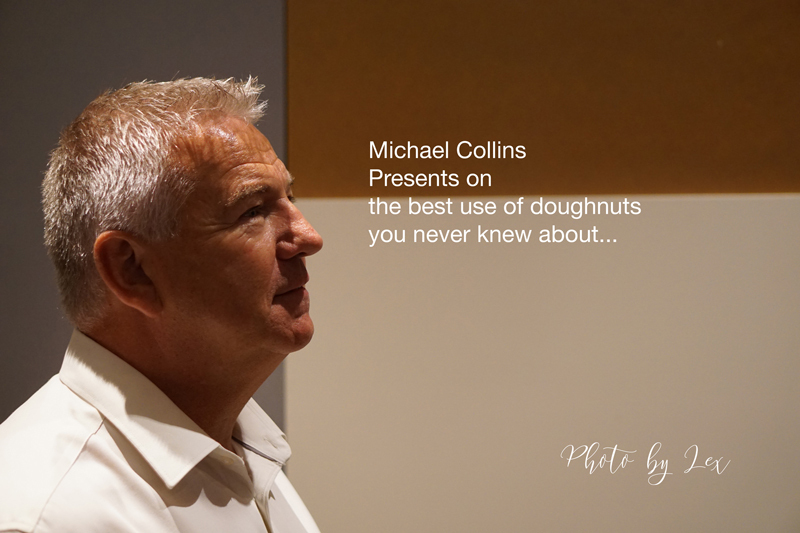 Like Pam, he showed us that we never quite know what is going to happen next, but that by throwing ourselves whole-heartedly into the adventure, life can deliver truly unforgettable ‘moments’ – moments that we can dine out on for years… if you like doughnuts, that is! It was both my privilege and challenge to follow Michael’s adventures – which had so many of us aching with laughter! I closed with a story showing how the very art of storytelling can make anything more memorable. 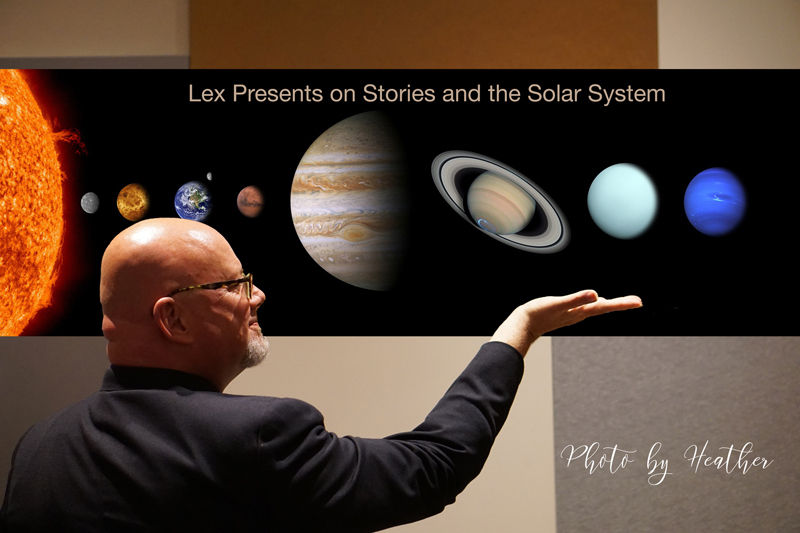 Most of us in the Western school systems have spent up to three days learning the names of the planets of our own Solar System, the order of these planets from the Sun outwards, and even their relative sizes. It is equally true that the vast majority of us can’t recall this information with ease. What we lack are sufficient triggers to bring those facts back into focus. A story, particularly one with drama, humour, and rich sensory-descriptions can literally ‘capture our imagination’ – empowering rapid recall. For me, The Boardroom Network is very much about true stories. Our one-minute pitch is our opportunity to capture one another’s imaginations as we get to know one another, like one another, and trust one another. The new chapter for me, though, was the realisation that we can have parts to play in one another’s stories – not just as members of the Cast but also as co-writers of the plot! More than this, I realised that The Boardroom Network is a community story – a band of business brothers and sisters who can collectively achieve far more than any of us can create on our own. I left the meeting uplifted and excited to be a part of this ongoing adventure. This was helped, as well, by seeing the power of Jay Rachet to hold the plot-line together, Jacqui Frampton to make sure the right actors were in the right places through purposeful table-planning, and Heather Enticott stepping up for the first time in the role of Membership Secretary at Solent. Sitting with Heather at the end, I felt we had a significant close to yesterday’s story – making sure that the welcome for new and existing members was completed with an equally warm farewell. This gave the 7 of our 27 visitors, who paused to chat, an easy way to saying ‘Yes!’ to more of the TBN experience.